December has been a busy month for the CMIRC Children’s Water Safety and Drowning Prevention Program. We have launched our Australian Aid expansion programs, renewed our Safe Child Thailand expansion programs in Lampang and Patong Beach, and launched initial efforts to establish programs in Petchabun and Sakhon Nakhon Provinces. Here in Chiang Mai we have completed the survival swimming and water safety course for the 9th and 10th municipal schools, leaving only one remaining school to be completed during this Rotary Year. A little more detail is provided below for each of these efforts. As mentioned in the December Bulletin, CMIRC has received a 361,400 baht grant from Australian Aid to expand our Children’s Water safety and Drowning Prevention Program. 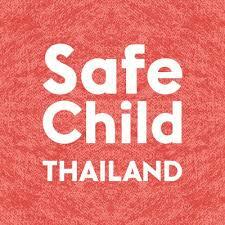 In December, project champion John Schorr visited our partner NGO in Phrao, the Warm Heart Foundation. We have developed a plan to begin our program there in February with 140, 4th grade students at the Ban Chaeng Khu Ruang School (ร.ร.บ้านแจ่งกู่เรือง). John Schorr then traveled to Phuket to meet with the swim instructional staff at the British International School and with the administration at the Ban Ya Literacy Centre for Burmese immigrant children. Thanks to the generous offer of the excellent swim facilities at the British International School and the cooperation of their swim staff we will begin our Children’s Water Safety and Drowning Prevention Progam there in January with 68 Ban Ya Centre children. Final arrangements are being made to do an exploratory visit to Petchabun Province to meet with school officials and local Rotary clubs to discuss the development of a pilot survival swim program in the province. John Schorr recently met with Past President Joe Evans and discussed initial plans for expansion of the Children’s Water Safety and Drowning Prevention to Sakhon Nakhon. A local bilingual contact (Khun Golf) has also been identified and he is making initial inquiries with local school authorities. John Schorr met with the Rotary Club of Patong Beach on December 9 and learned the club plans to continue the program with the Ban Sai Nam Yen School this year, with approximately 100, 4th-graders. The program is now officially named: The Rotary Club of Patong Beach Larry Amsden Swim Safe Programme, and the new program chair is Johan Storck. John Schorr has also reached out to President Garn at the Rotary Club of Lampang and learned that they too will be continuing their program, but have requested some additional financial support for a second pilot program, which we will supply. This Rotary year we have already completed 10 of the 11 municipal school 4th grade classes and plan for the entire program to be finished before the end of March. We will once again have a certificate ceremony for all children completing the CMIRC-Kru Payu Children’s Water Safety & Drowning Prevention Program in May. This year we have taught our 1,000th 4th-grader survival swimming and water safety!